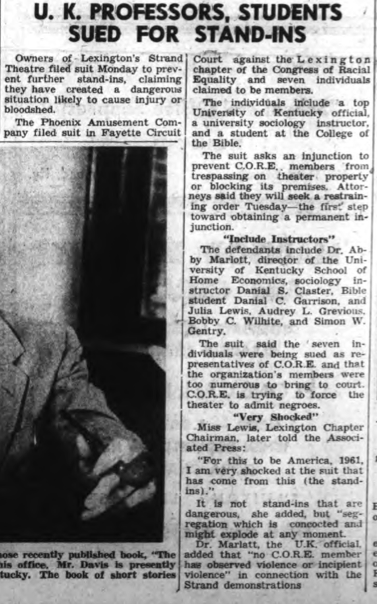 The following articles include information on Audrey Grevious on varying subjects. 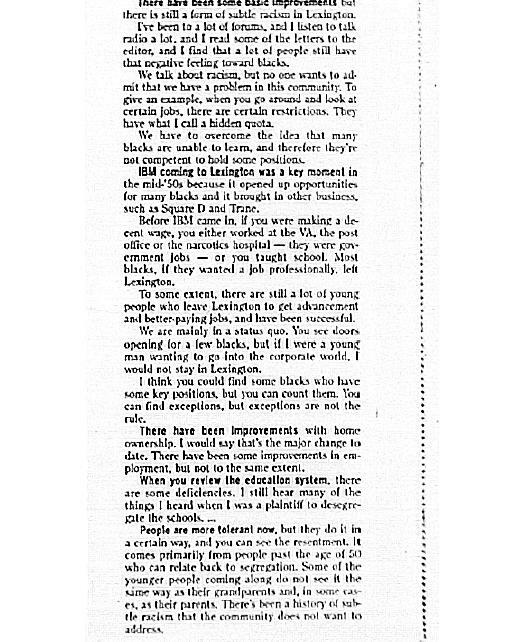 In this article, Audrey Grevious recounts the many sit-ins that occurred during the civil rights in Lexington and the relative ease in desegregating public places. 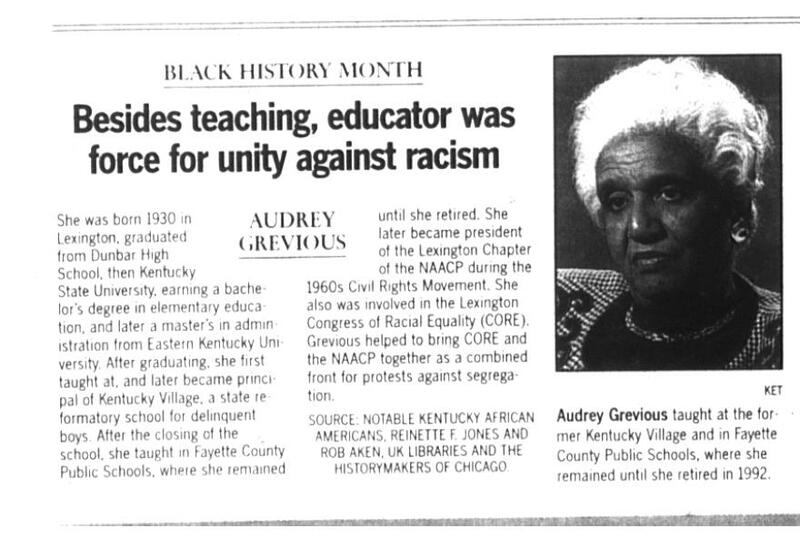 This short article was a profile of Audrey Grevious featured during Black History month in 2004. 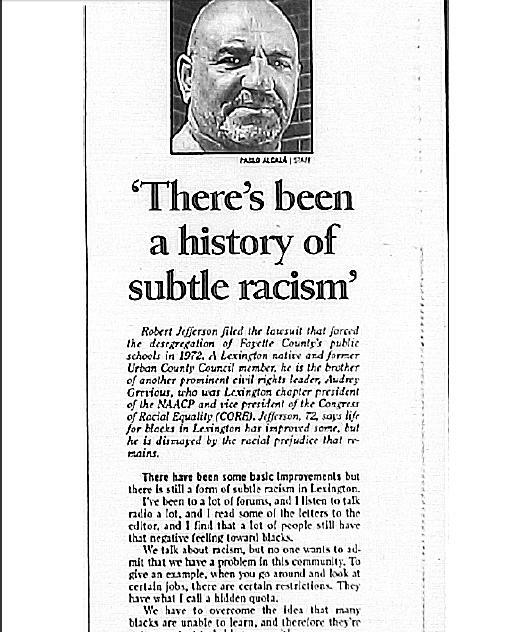 In this article, Robert Jefferson—the younger brother of Audrey Grevious—tells of the racism that still underpins Lexington society, despite its improvements after the days of segregation. 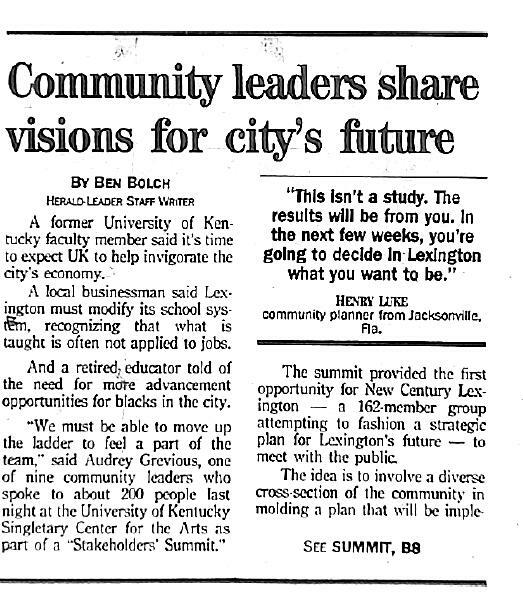 In this article, various community leaders—including Audrey Grevious—call for more opportunities for African-Americans in Lexington. This profile of Audrey Grevious was featured during Black History month in 2006. 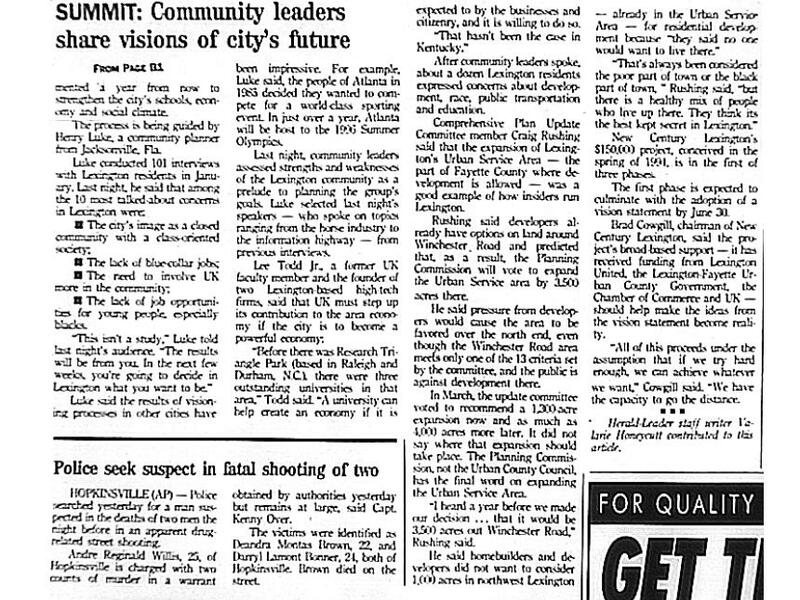 Articles were obtained courtesy of the Lexington Public Library as well as Eastern Kentucky University. In this book, many people involved in the civil rights movement in Kentucky—including Audrey Grevious—tell their personal anecdotes on various subjects ranging from desegregation, open housing, and protesting. 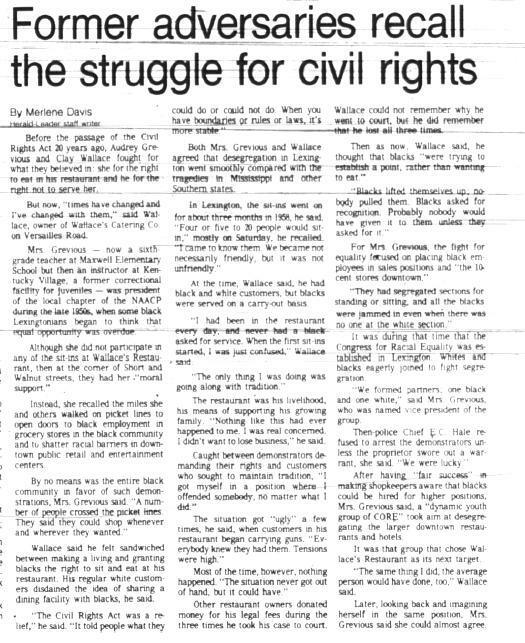 Grevious tells a story of a particular nonviolent demonstration at a lunch counter, her work with the NAACP and CORE, and involvement in protests around Lexington.